The Ministry of Human Resources and Emiratisation has recently launched an online students’ training form which enables them to enroll in the private sector for training purposes based on decree No. 713 of 2016 issued by Saqr Ghobash, the Minister. “To pursue a training course at one of the private sector companies, first of all the company must be cleared from any irregularities and the student must be over 12 and less than 18- years old,” she said. While on the other hand, students applying for ‘juvenile work permits’ must be aged between 15 to 18, applications could be found through Tas’heel service centres or the ministry’s smartphone app. The training program lasts for three months from the starting date, the contract shall be submitted to the ministry for approval prior to the signature from both ends, the e-signature card is considered obligatory to process the company’s request to enroll the students. 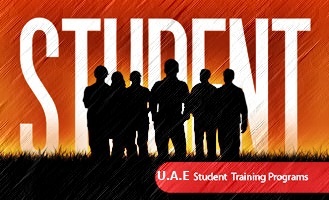 To apply for the training form, students must attach their passport copy (for locals), passport and residency copy for non-locals, applicants must also attach a none objection letter from their parents or guardians, personal photos, in addition to the signed agreement between the students and the employing company. If both ends seek to extend the training period they must apply for a new application, otherwise if the company seeks to end the relation, a cancellation form request can be submitted to the ministry before the contract expiry date.